“The Silicon Review 50 Fastest Growing Companies of the Year 2017 program identifies companies which are revolutionizing the decision making and business growth process, and winning a spot on this list indicates the company has not only distinguished itself from peers by proving itself as one of the fastest growing companies but also helping other companies to gain momentum in the marketplace,” said Sreshtha Banerjee, Editor-in-Chief of The Silicon Review Magazine. The publication has selected Iconixx based on its financial growth, ability to retain customers, frequent innovation, and contribution to the IT sector at large. Iconixx has increased its sales force significantly to continue its momentum of growth. The team is focused on making their customers’ lives better through product innovation and its unrivaled customer support. Within every sales professional is a primal, quota-crushing beast. If you’re responsible for managing compensation, you are the beastmaster. The beastmaster has no time for tedious compensation routines using inferior tools like spreadsheets. The beastmaster, meanwhile, cannot abide the irritation of manual commission reconciliations. No. The beast cares only for the hunt. Iconixx is a sales compensation solution that automates commission plans and eliminates sales downtime caused by trivial administration. So get Iconixx – and unleash the beast. Iconixx is headquartered in Austin, Texas, and is online at www.iconixx.com. AUSTIN, TX – MAY 16, 2017 – HotSchedules®, a leading provider of technology solutions for the restaurant and hospitality industries, announced Mike Arenth as Chief Executive Officer. Arenth started with the company in late 2016 and implemented key leadership changes to better support innovation and growth. Prior to joining HotSchedules, Arenth was a Senior Advisor to Silver Lake, an Executive Vice President at SAP and before that spent 10 years at Ariba as General Manager and Senior Vice President. The company also announced record usage numbers for its popular platform designed to streamline back-of-house operations including training, scheduling, time & attendance, shift communications, task management, inventory, financials and analytics. HotSchedules serves over 2 million users in over 130,000 locations across 26 countries. To further strategic momentum, the company has expanded its leadership team to include a dynamic group of executives to compliment the deep restaurant industry experience of Co-Founder David Cantu and the existing HotSchedules team. Ted Kondis, Chief Revenue Officer who brings experience in general management and sales from Ariba, Arthur Anderson and SAP. Neville Letzerich, Chief Marketing Officer who previously served as CMO at Forcepoint, LLC. Prior to that Letzerich held executive, product, marketing and consulting roles at EMC, Bazaarvoice and Accenture. Sean Fitzpatrick, Chief Operations Officer has been with the company for 3 years and is promoted to COO. Fitzpatrick previously served as Global Vice President of Strategy and Innovation at Oracle and has held senior leadership at BearingPoint, BroadVision and Lucent Technologies. Brian Gaffney, Senior Vice President of Engineering: After more than three years of engineering leadership within HotSchedules, Gaffney has been promoted to SVP Engineering. Prior to that, he spent fifteen years at software start-ups including, AmberPoint, App Dynamics, Symplified, and Emotive Communications. AUSTIN, Texas — August 31, 2016 — The Zebra, the most comprehensive car insurance comparison marketplace in the U.S., today announced the addition of Brett Little as Executive Vice President of Finance & Administration. Little brings more than 20 years’ finance experience from Match.com, Travelocity and AppFolio, and will oversee The Zebra’s financial, legal, and human resources operations to help drive optimal consumer experience and continued disruption throughout the massive auto insurance industry. Little joins The Zebra after nearly four years at AppFolio, a California-based SaaS provider of workflow solutions, where he was part of the team that took the company public in 2015. Little’s tenure saw both a quadrupling of revenue and progress toward realizing operating leverage in the business. Before AppFolio, Little was instrumental in growing the financial organizations at big-name consumer-facing brands Match.com and Travelocity. In his 10 years at Match.com, Little partnered with the leadership team as the company realized revenue and subscriber expansion and became a globally recognized name in the ever-popular world of online dating. Prior to his tenure at Match.com, Little built and led a team at Travelocity that contributed to the company’s rapid revenue growth and emergence as a pioneer in the online travel industry. At The Zebra, Little will focus on connecting all elements of the business to create the best possible product and experience for consumers seeking auto insurance in the modern, connected world. The Zebra is the most comprehensive online car insurance comparison platform in the U.S. Since 2012, the company has sought to bring transparency and simplicity to car insurance shopping — “car insurance in black and white.” With The Zebra’s real-time, side-by-side quote comparison tool, drivers can identify insurance companies with the coverage, service level, and pricing to suit their unique needs. Headquartered in Austin, Texas, The Zebra compares over 200 car insurance companies and provides agent support and educational resources to ensure drivers are equipped to make the most informed decisions about their car insurance. AUSTIN, Texas – July 11, 2016 – Iconixx Software Corp., an Austin-based maker of compensation management software, has named sales veteran David Loia as its first chief revenue officer. Loia was previously the vice president of sales for Austin software maker ZenossInc. and senior vice president of revenue for Austin-based HumanIntelligence Inc. Before that, he was vice president of sales for Spokane, Washington-based Next IT Corp. and a director of California-based Oracle CX Cloud, according to his online profile. Iconixx Software, founded in 2010, develops software designed to manage sales compensation, bonuses and salaries. It employed about 80 workers last year. Last August, Iconixx Software reported raising a $10 million financing from investors that included Florida-based Ballast Point Ventures LP and Alabama-based Harbert Venture Partners LLC, CEO Derrik Deyhimi said. In December, the company hired William Getchell as its first chief financial officer. Then in April, Iconixx announced establishing a credit facility with Comerica Bank to fund future growth, but it didn’t disclose the financial details of the facility. 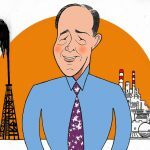 This article originally appeared in the Austin Business Journal. 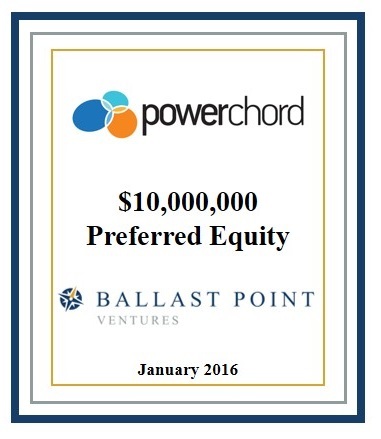 Provider of digital brand management software and services – Ballast Point Ventures has led a $10 million equity investment in PowerChord, Inc. Founded in 2001, PowerChord, Inc. provides a suite of internet brand management and digital marketing services for major brands and their dealer networks in the United States and Europe. PowerChord’s Software-as-a-Service offering allows major brands to maintain brand consistency down to the local dealer level. The Company’s customer engagement platform creates a universal online brand experience for national and international brands with consistent content, data, and messaging at the local dealer level. Today, there are over 9,000 individual dealers on the PowerChord platform. PowerChord is led by CEO Lanny Tucker and Founder and Chief Strategy Officer Pat Schunk. PowerChord will use the proceeds from this minority investment for partial shareholder liquidity, sales force additions, and to bolster its product development and marketing efforts. 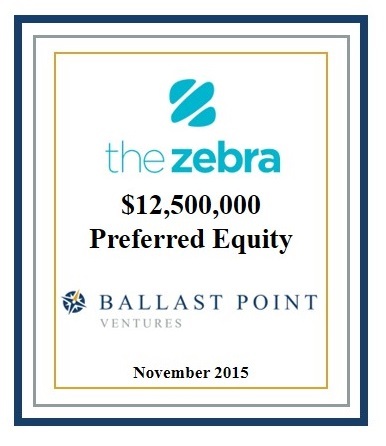 Online automotive insurance agency and comparison platform – Ballast Point Ventures has led a $12.5 million equity investment in The Zebra. Founded in 2012, the Zebra offers a comprehensive automotive insurance comparison platform that allows consumers in all 50 states to compare quotes from more than 200 insurance carriers. The Company’s comparison engine collects user-submitted data via the website and displays the automotive insurance rates from multiple carriers, providing a valuable new tool to insurance shoppers that has earned comparisons to the travel search engine Kayak.com. The Zebra also operates as a licensed independent insurance agency and can currently sell and bind automotive policies in multiple U.S. states. The Company is led by Founder and CEO Adam Lyons and COO Joshua Dziabiak, both of whom were named to Inc. Magazine’s 30 Under 30. The Zebra will use the proceeds from this minority investment to enhance its online comparison platform, expand its insurance agency capabilities and hire new team members. The pioneering company featured prominently in the article is EOG Resources, a former division of Enron discarded in 1999 when that company “decided to jettison tangible assets as they evolved into a trading company.” By 2007 – one year after the last remaining piece of pre-bankruptcy Enron had been sold off – the former red-headed stepchild had become an industry leader. Flush with success, EOG looked at their innovation and thought: we’re doomed. EOG maintains no central research-and-development department. “Our R&D was just applied R&D,” Mr. Papa notes. “We went out there, drilled some wells, and the first eight or nine were unsuccessful. We got improvements, improvements, improvements, until we finally ended up hitting the right recipe for success.” EOG’s decentralized technical operations and “minimum bureaucracy” encouraged engineers to experiment well by well. Late in 2006, EOG showed that shale oil was feasible in the Bakken. This discovery meant that EOG could switch to oil, with production flipping to 89% liquids (mostly crude) this year from 79% gas in 2007. More to the point, by proving everyone else wrong—again—Mr. Papa changed the domestic industry as other companies chased his achievement. 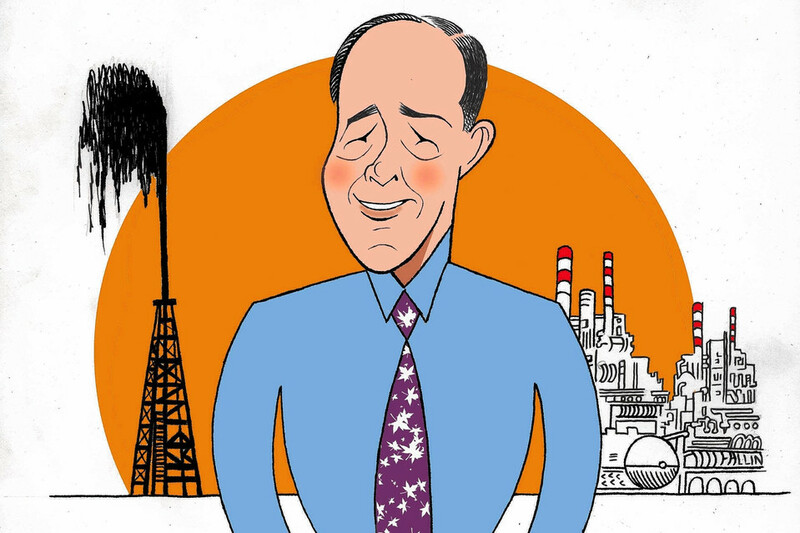 To the extent that U.S. shale oil is transforming world-wide markets, he deserves a lot of the credit. (A)t the creative frontier of the economy, and at the moment of innovation, insight is inseparable from action. Only later do analysts look back, observe what happened, and seek to collate this into categories, abstractions and patterns. More generally, innovation appears to be built upon the kind of trial-and-error learning mediated by markets. It requires that we allow people to do things that seem stupid to most informed observers — even though we know that most of these would-be innovators will in fact fail. This is premised on epistemic humility. We should not unduly restrain experimentation, because we are not sure we are right about very much. Mr. Papa reels off a few examples: A new burst in employment, business investment and GDP. Self-sufficiency in natural gas “for probably the next 50 years” and a two- or threefold competitive price advantage over Europe and Asia, leading to a revival of in-sourced manufacturing. A state and federal tax-revenue bonanza. Diminishing the importance of Persian Gulf and Russian energy dispensations in foreign policy. Mr. Papa observes that these disruptive gains confounded the zodiac readings of the experts. 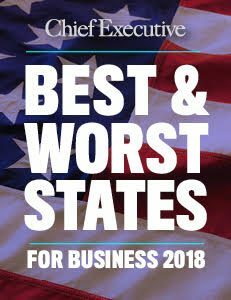 The gains were driven by smaller, independent, nimbler companies, risking their own capital on potential breakthroughs across mainly state and private lands without federal subsidies. Rise of the high-tech South, cont. I could see the average town was like a roach motel for startup ambitions,” he wrote. “Smart, ambitious people went in, but no startups came out…The problem is not that most towns kill startups. It’s that death is the default for startups, and most towns don’t save them. Instead of thinking of most places as being sprayed with startupicide, it’s more accurate to think of startups as all being poisoned, and a few places being sprayed with the antidote.